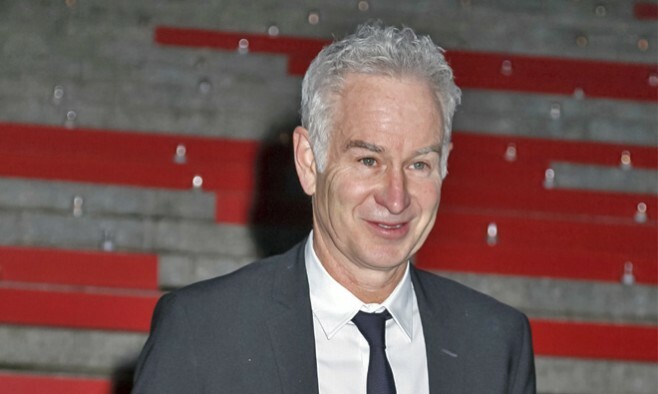 John McEnroe, former World No. 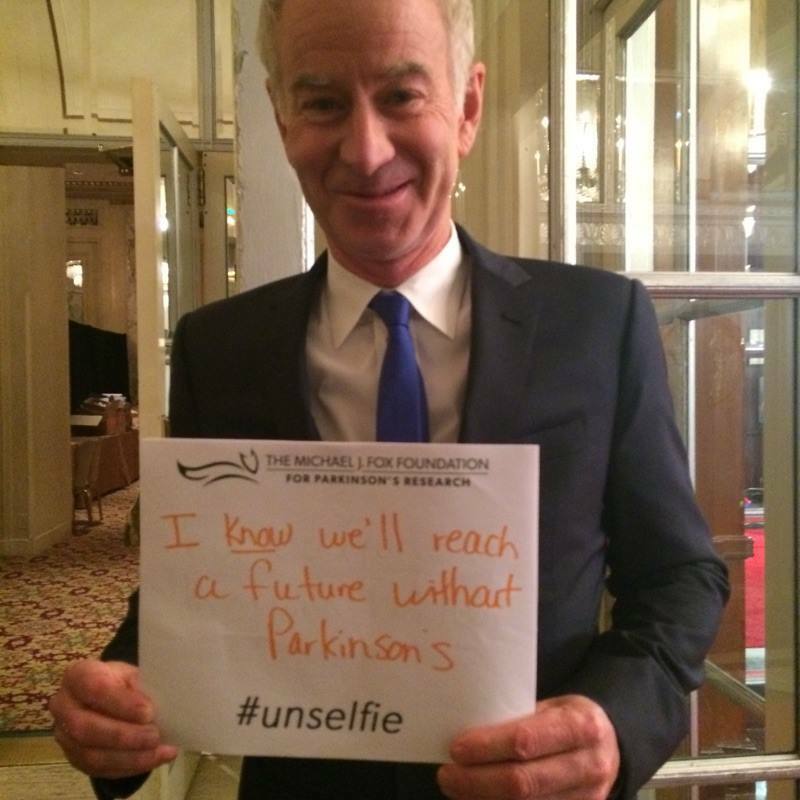 1 tennis player, has joined the ‘unselfie’ social media campaign with a written declaration stating: “I know we’ll reach a future without Parkinson’s”. 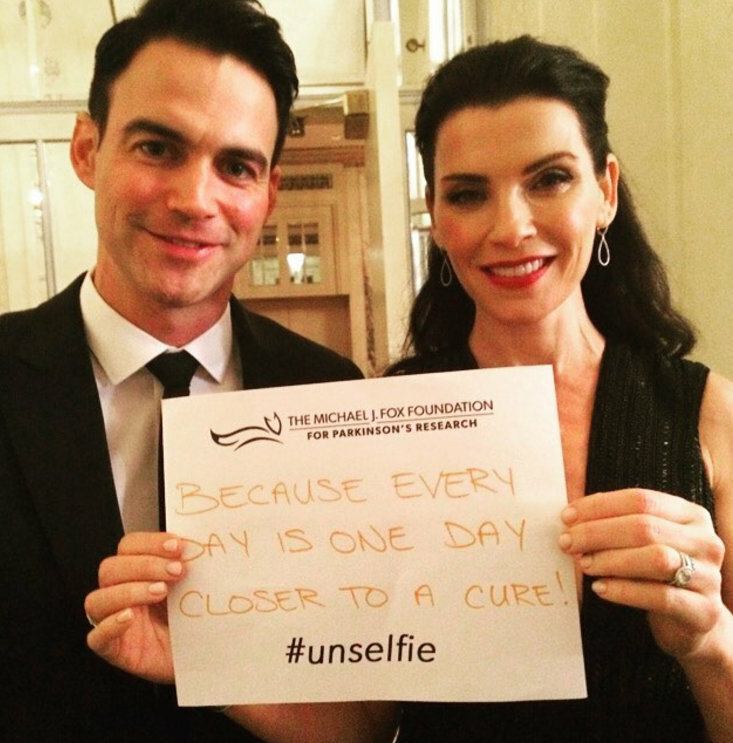 The ‘unselfie’ campaign, led by the Michael J Fox Foundation, encourages people to post an ‘unselfish’ portrait of themselves using the hashtag #unselfie and a message of why they support the cause to find a cure. 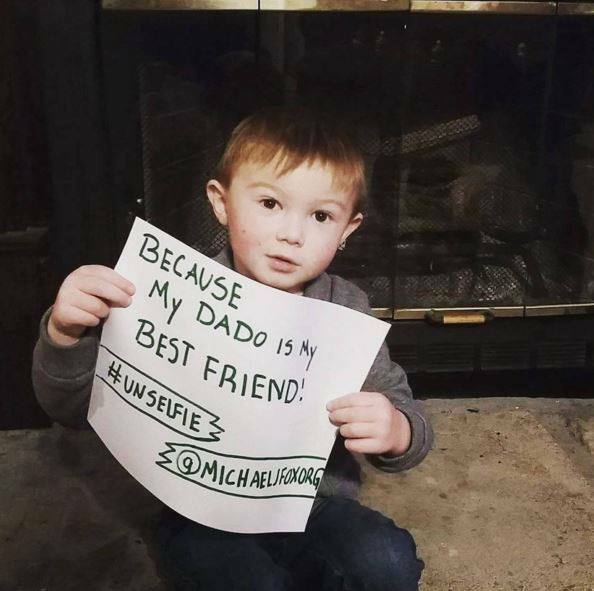 Shared on the Michael J Fox Foundation Facebook page, the photo of the tennis star was just one of many messages backing the campaign to raise awareness. McEnroe joined a host of other famous people, including American actor Denis Leary (below) who made it clear that the campaign is for each and every person living with Parkinson’s disease. Of course, it wasn’t just celebrities getting in on the act. People from all walks of life showed their support for loved ones. @bridgetlbrady posted this adorable picture to her Instagram feed. For this little one, “Dado is my best friend”. 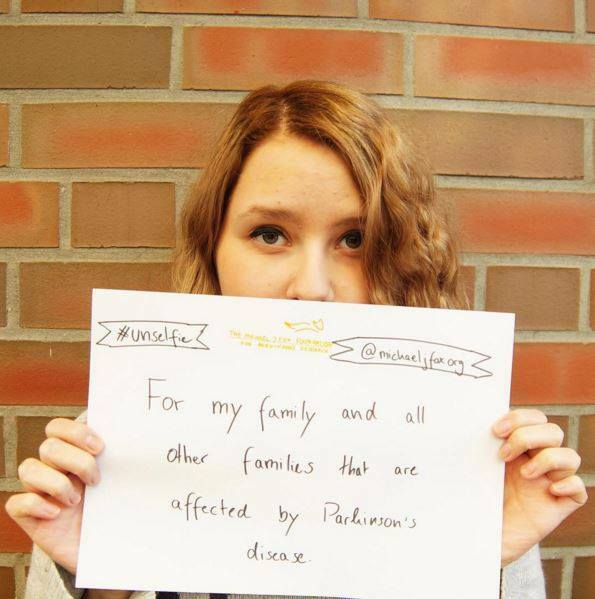 @amilkawayoflife on Instagram showed her support for “My family and all other families that are affected by Parkinson’s disease”. 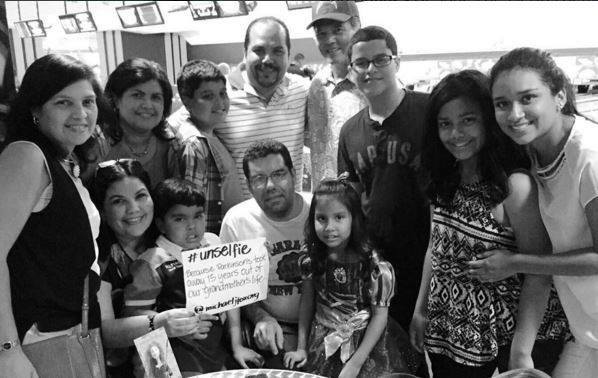 @anasofiaguerro and extended family a posted a group photo on Instagram and wrote: “Because Parkinson’s disease took away 15 years of our grandmother’s life”. 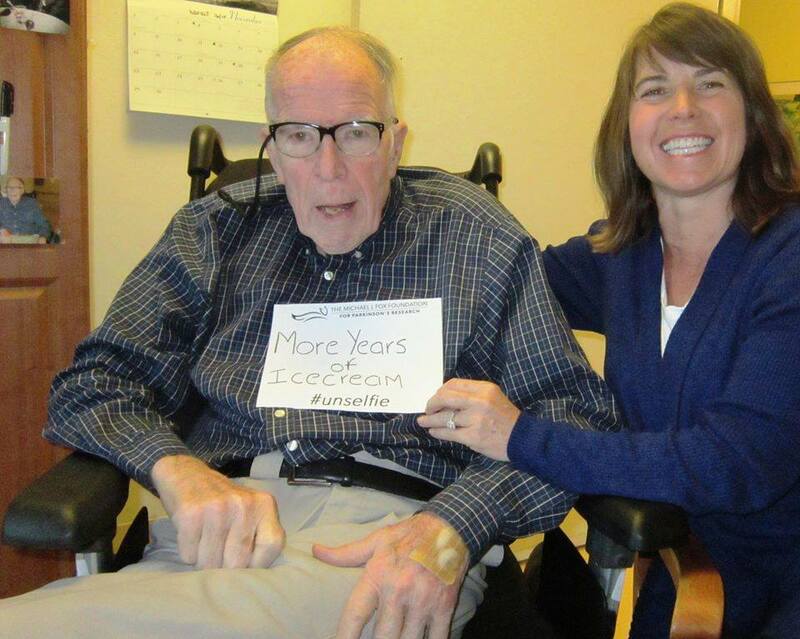 Becky Allen White posted this light-hearted message on behalf of a patient, expressing a simple desire we can all relate to, whatever our age or state of health: “More years of ice-cream”. Wow! We lose days, sometimes only parts of days to this disease when it overtakes the medication. I’ve spent such a morning today. I’m better now for a while and will enjoy that time while I can. These dear brave people who’ve shared their pictures with us are an inspiration.